If you love a good hot dog, or even if you just love a cheap hot dog, the Atlantic City Boardwalk will give you just what you are looking for. The Boardwalk has a huge selection of hot dogs on offer, from classic, cheap dollar dogs, to quarter pounders ($2), right through to italian sausage dogs, chili dogs and a host of other sausage varieties. Enjoy a good German Bratwurst? Atlantic City Boardwalk has them too! 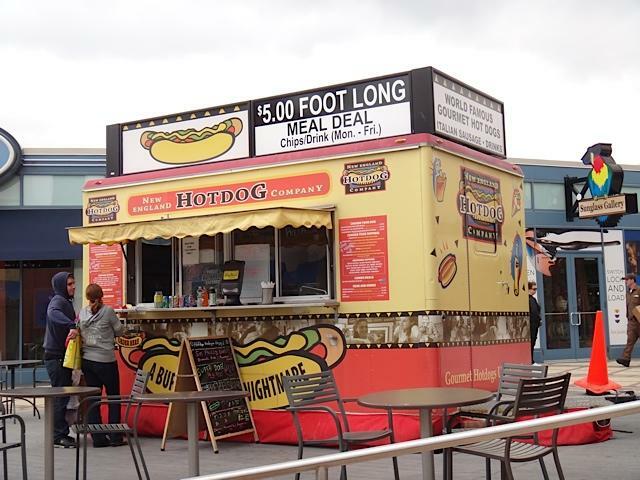 If you are prepared for a 5-10 minute walk off the Boardwalk, you might like to check out the hot dog stand at the Tanger Outlets Centre (at the back of Caesars, in the direction of the train station). There, you will find the New England Hot Dog Company, offering a superb hot dog, with 4 toppings of your choice, including bacon and chili.